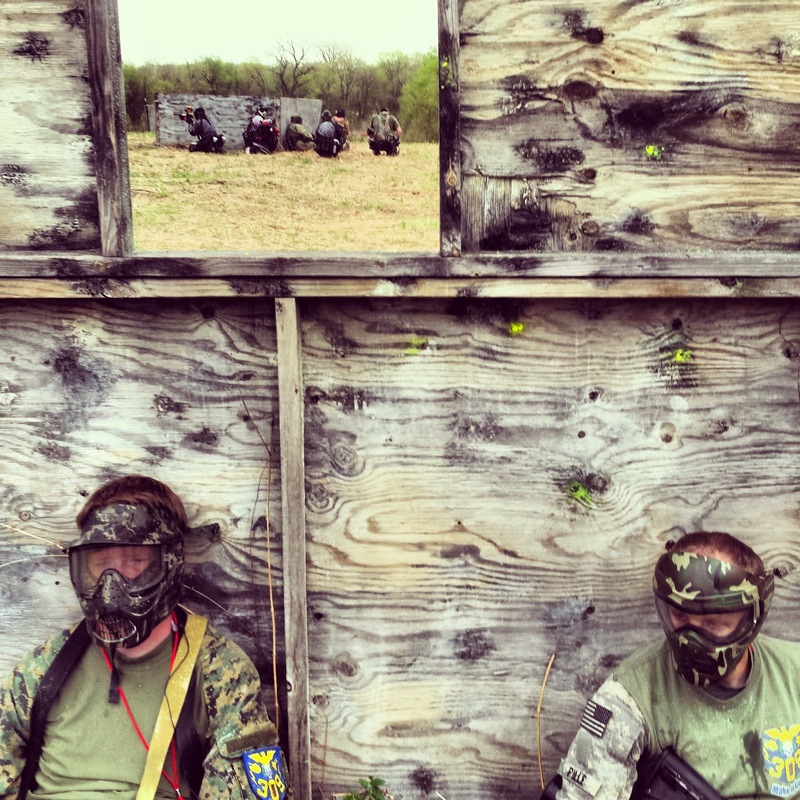 A few weeks ago, in the last weekend of April, I went to a paintball event a couple hours outside of East St. Louis in Illinois (middle of nowhere). As a participant, I didn't want to carry around my camera and risk damaging it. I decided it was a good opportunity to test out my phone's capabilities. 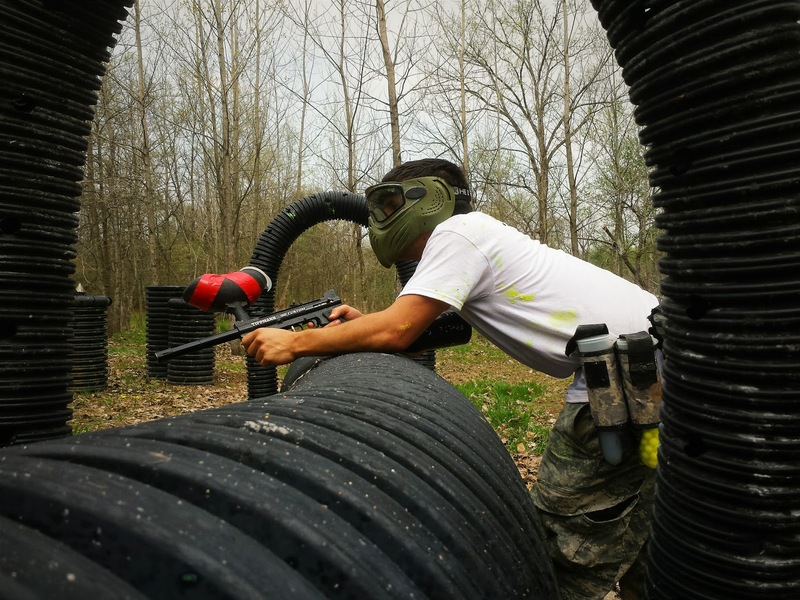 Looking back, I wish I had more action shots, but it's a bit of a tall order as a participant and with something like a cell phone that doesn't really give you the opportunity to zoom without sacrificing quality galore. I also found difficulties with blown out highlights, another sacrifice of working with phones and the JPG format. Below are a couple differently edited versions: one using the VISCO app and the other using Instagram. I also did some edits through Lightroom, but I've exhausted my efforts on this one and don't care to go through that final stretch of pushing them through photoshop. The photos posted below were auto uploaded to my Google account from my phone. VISCO edits are the first, full-sized images while the Instagram photos are obviously the later, square formatted ones. One nice thing to say about VISCO is that it lets you control your filters much more and you can add a tint to those blown out highlights in an attempt to mask them (some of which worked and didn't work below). 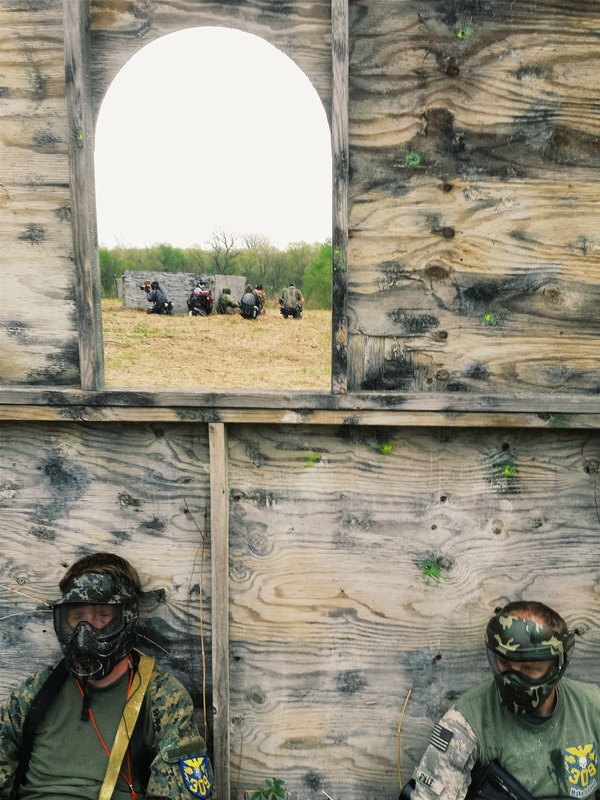 I didn't really come out with much that I liked, but it was fun and I learned new things, both of which are desirable outcomes from any outing. Thoughts, comments, and discussion are encouraged. 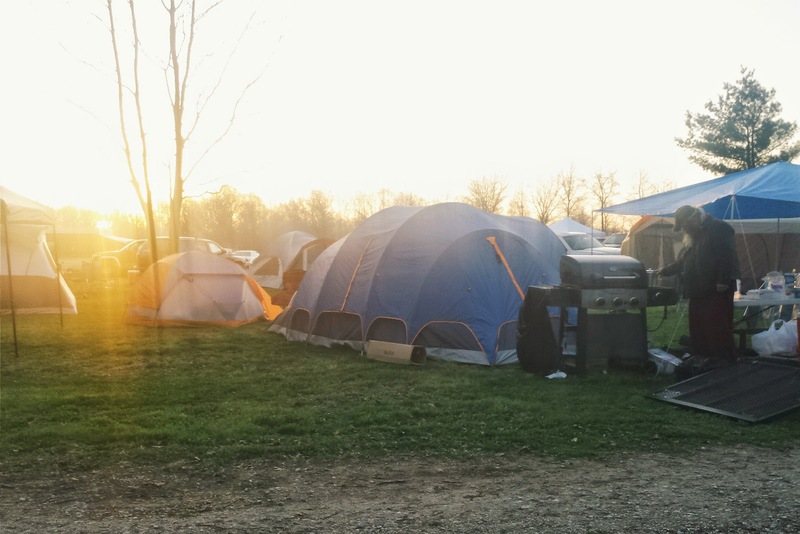 A member of the Merc paintball team fires up a grill Saturday morning at sunrise before the first day of the Monte Cassino paintball event (shot through the window of my Nissan Xterra, AKA my tent). 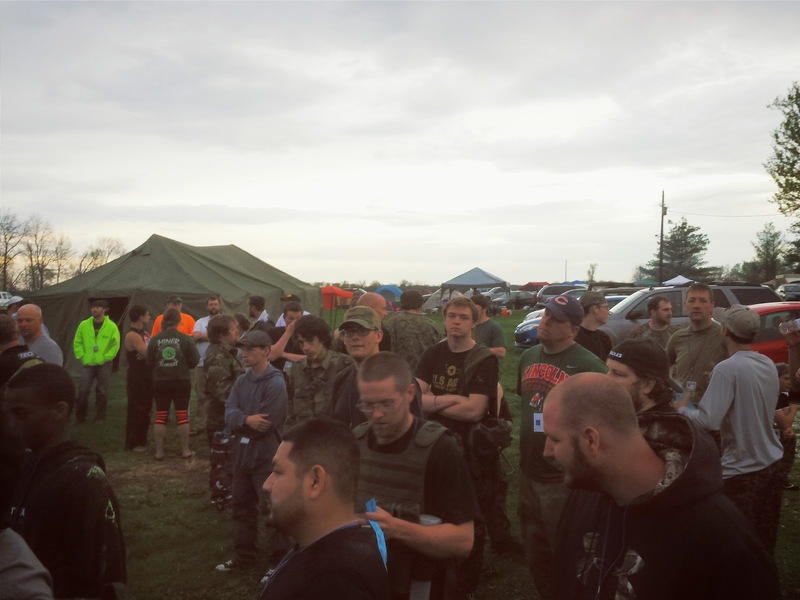 Referees explain the rules and guidelines of the paintball event before the start of the first day of the Monte Cassino paintball event. 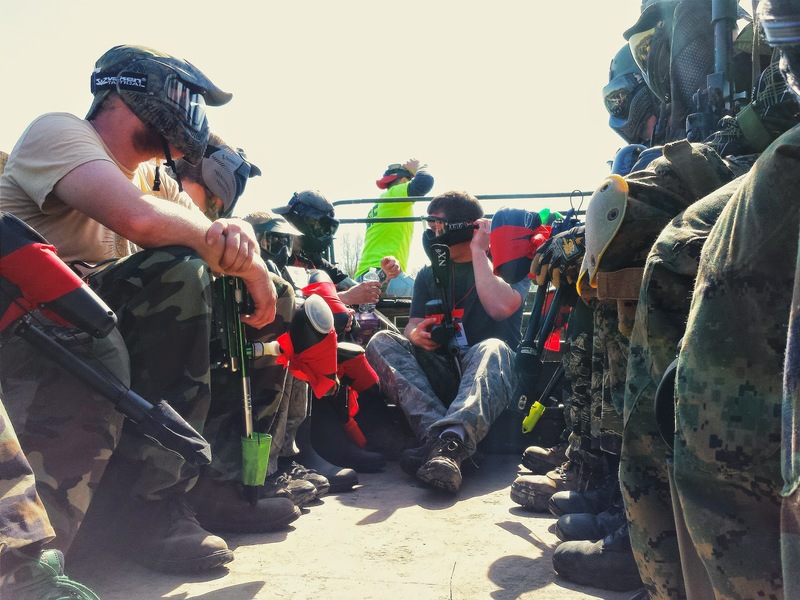 Axis players prepare for battle as they ride out on a military truck to "Normandy Beach" for the beginning of the Monte Cassino paintball event. 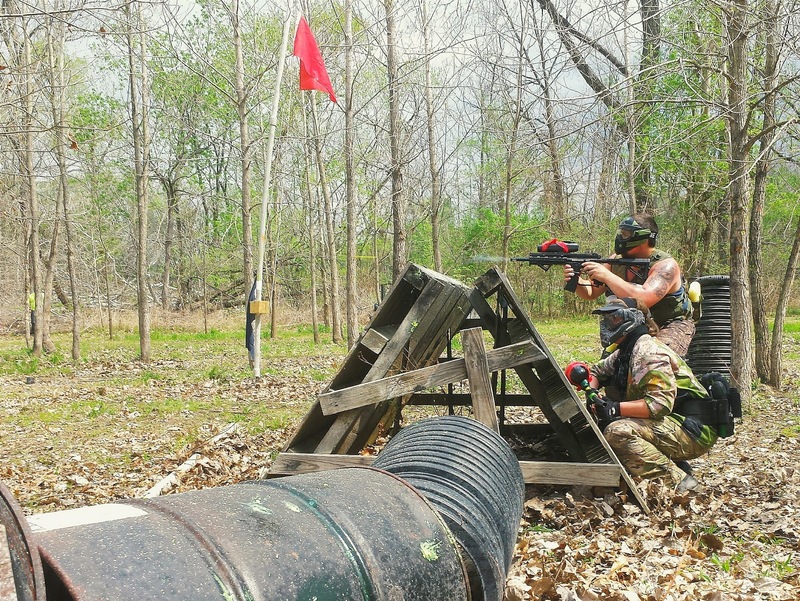 An Axis teammate booby-traps the flag inside "The Abbey" in hopes of covering any of the Allies in paint should they make it inside to pull the flag. The trap was unsuccessful. 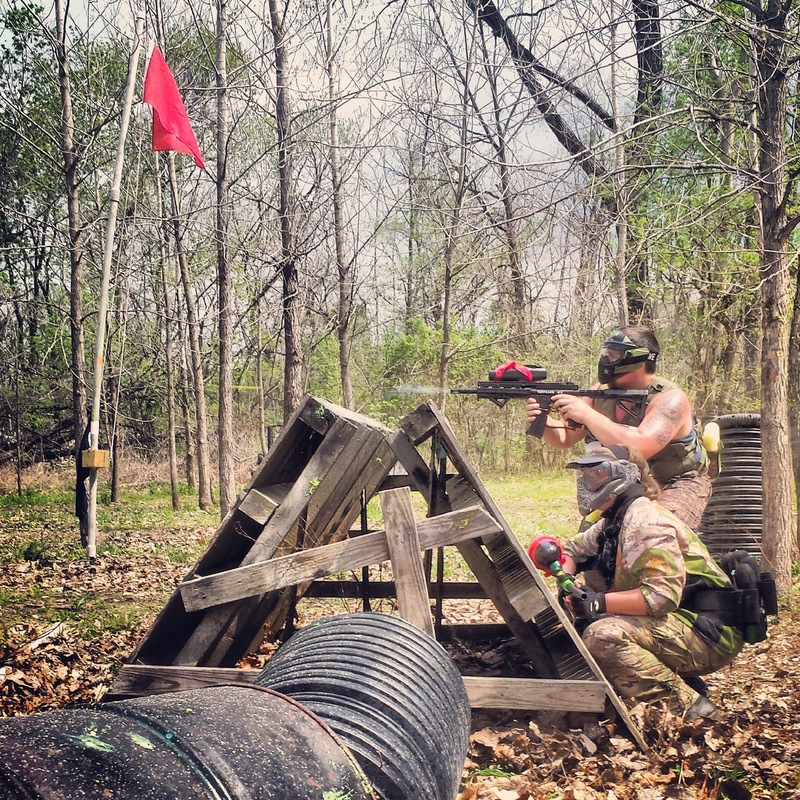 Two exhausted Axis players defending "The Abbey" at the end of day one as other members of their team man a barricade outside the fortress. The Axis lost that battle, one of only two they lost over the span of the weekend. 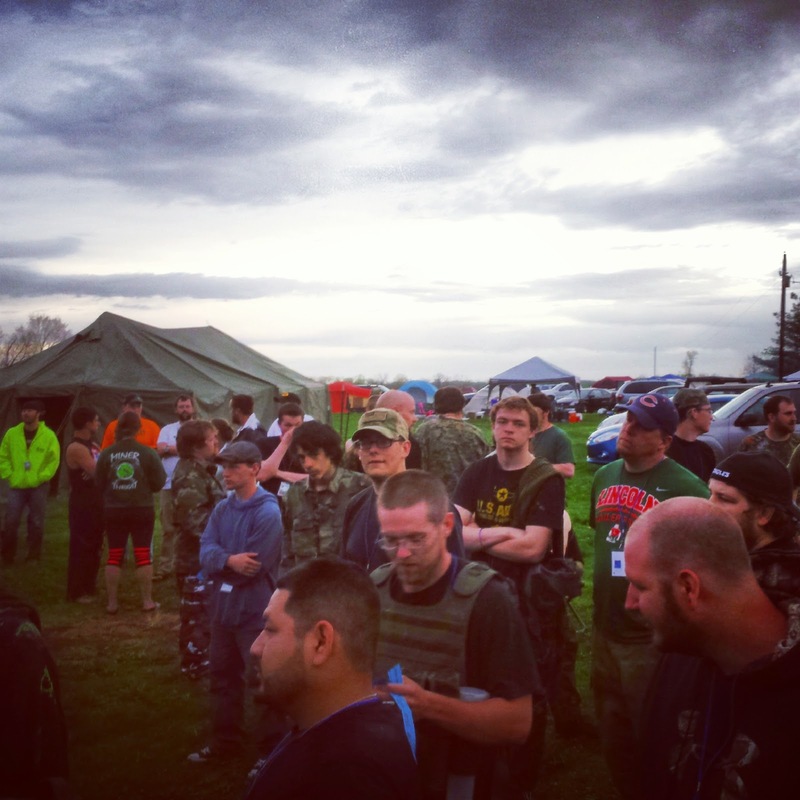 Some of the 203 tired Axis and Allies players gather after a long first day for a prize raffle and to heat the score totals after the first day of the Monte Cassino#paintball event. The Axis held just over 100 point lead after the first day, despite winning all but one major objective (capturing and protecting the flags). The Allies kept it close by completing secondary objectives on the side that included capturing and destroying event props. Some Axis players grumbled about the score being unfair after thoroughly beating the Allies in most major objectives. 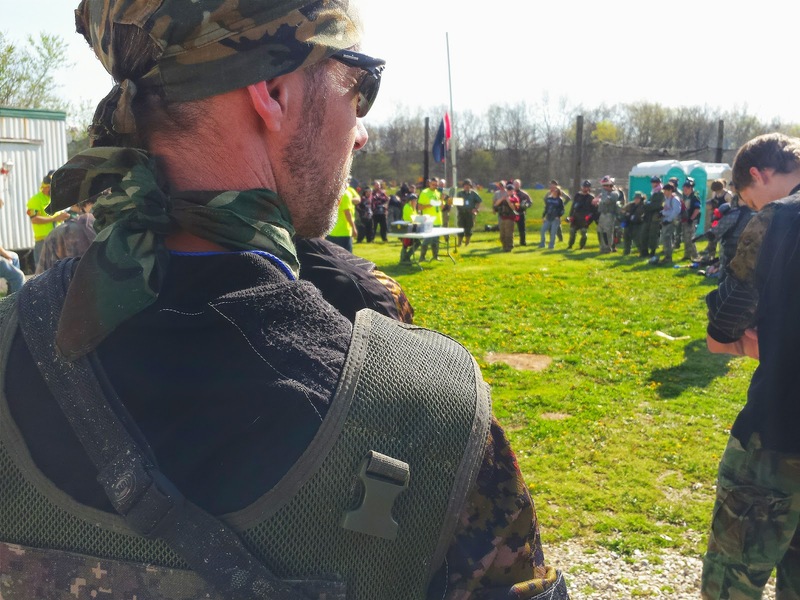 Allies teammates listen as an overview of the second day's battles are given at before the start of the last day of the Monte Cassino paintball event. 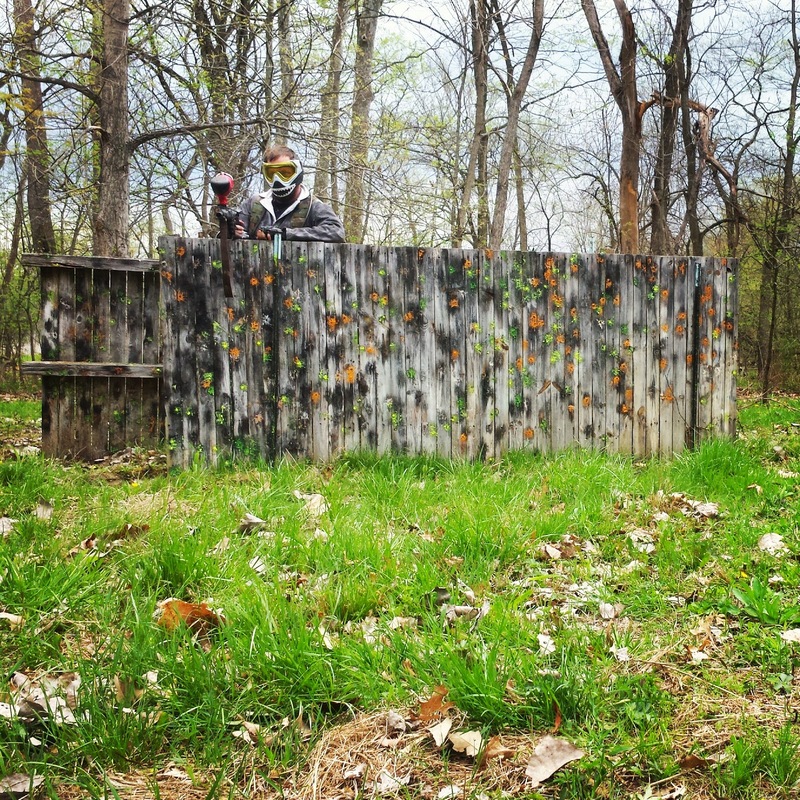 Axis player Michael Perkins dressed in a homemade panda outfit mans a paint riddled barricade out of range of enemy fire during the battle for the rocket base at Monte Cassino on day two of the #paintball event in #Illinois. After a brutal firefight to start the battle, the Axis was able to push the Allies back, creating a small area at the back of the base safe from enemy fire. 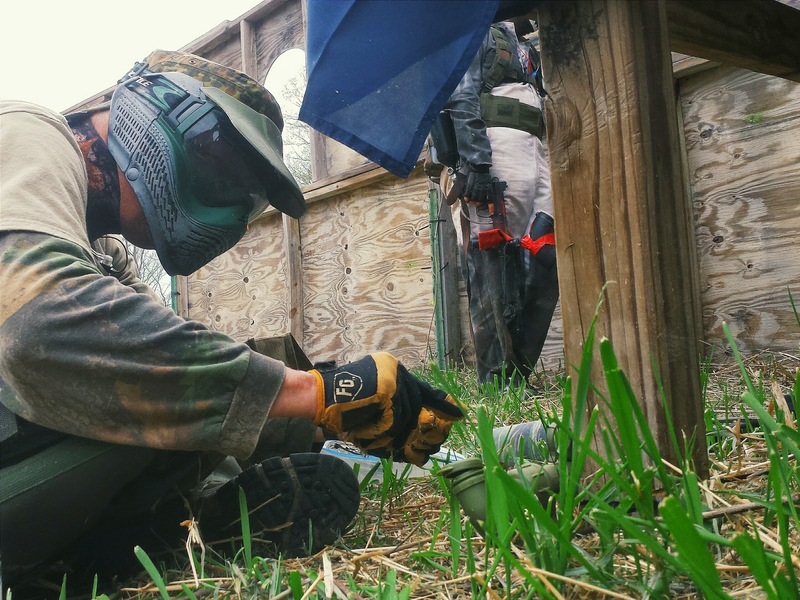 Axis teammates defend the rocket base flag during the first battle of the second day of the Monte Cassino#paintball event. 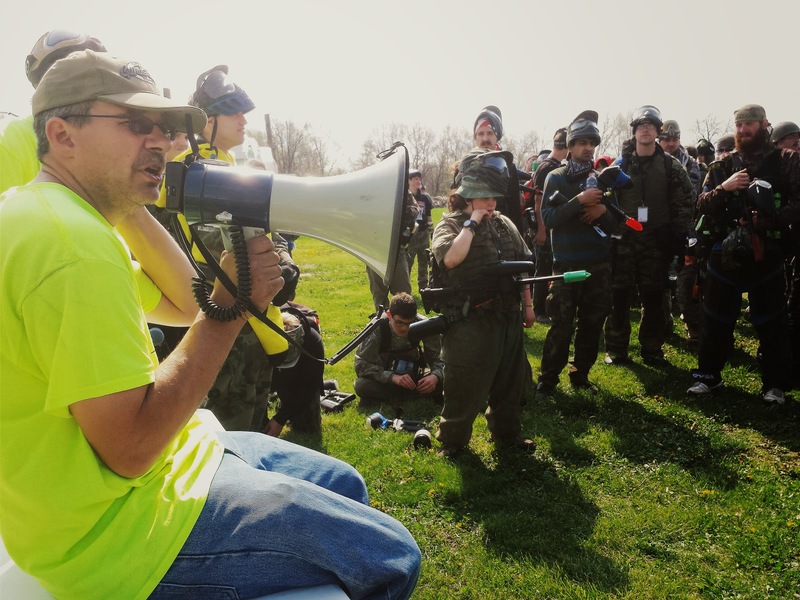 The Allies captured the flag at the start of the battle but lost it 10 minutes into the hour long battle after a rogue tank took out most of their defenders, allowing the Axis to charge the flag, capture it, and settle behind the barricades surrounding the flag. The Axis kept the Allies pinned in their spawn for the remainder of the battle. 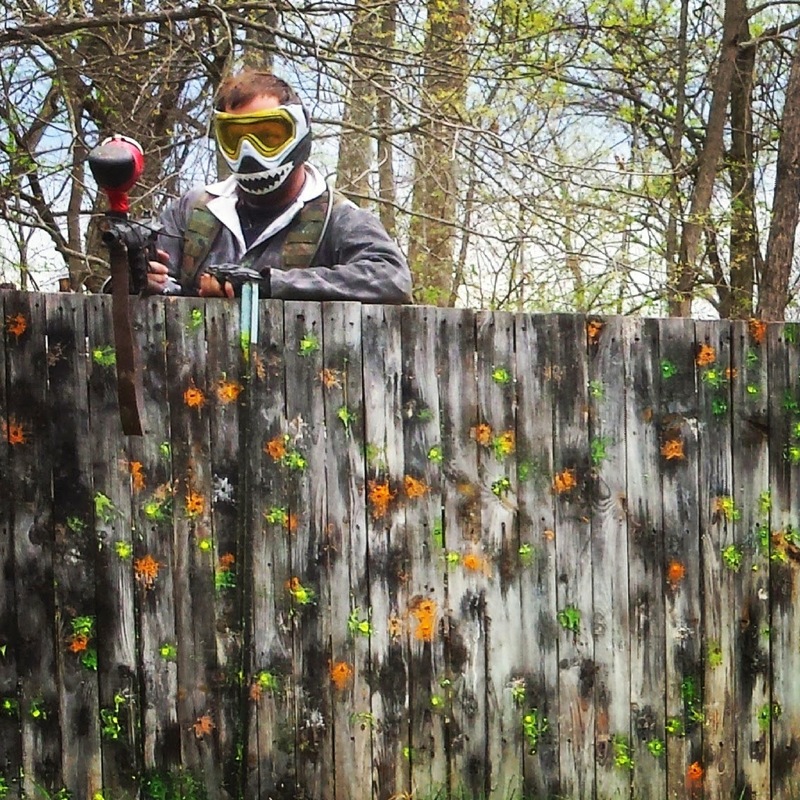 A competitor poses for a picture after winning paintball paraphernalia in the raffle at the end of the Monte Cassino paintball event. 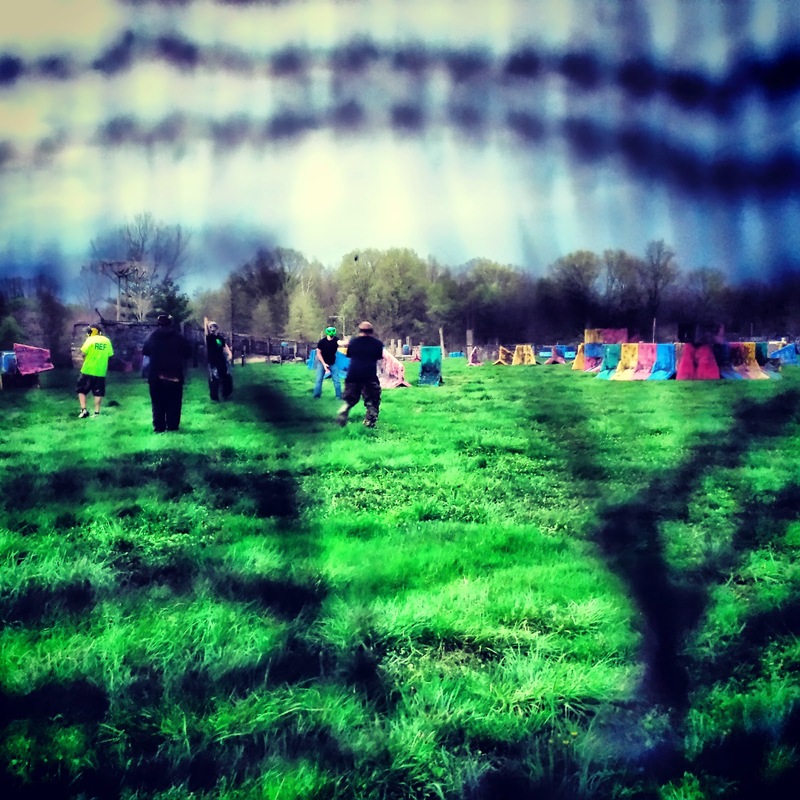 Players are seen through a hole in the protective netting, netting that separates the course from the campground, competing in a paint grenade toss at the end of the first day of the Monte Cassino #paintballevent. 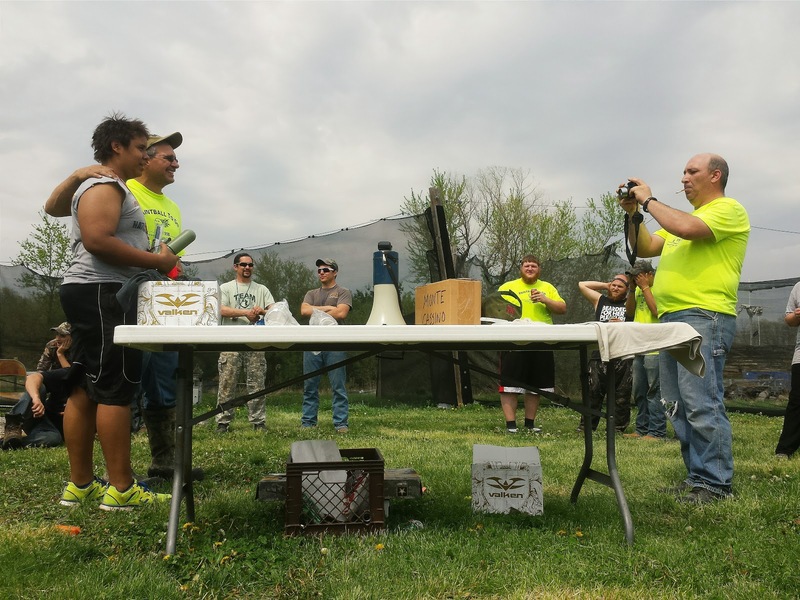 Similar to an egg toss, participants needed to use soft hands and accuracy as they tossed the grenade. After each successful toss, participants were asked to take a step back to increase the level of difficulty. 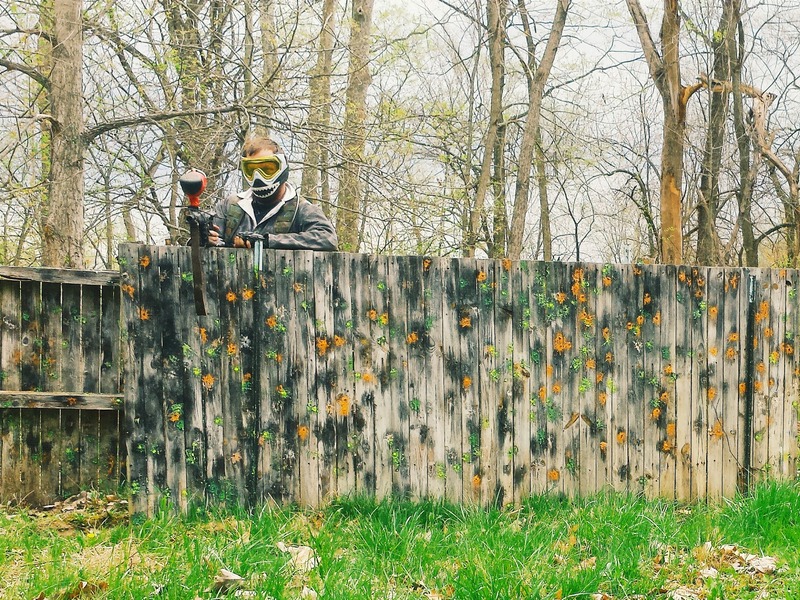 The losers were sprayed with the paint of their exploding grenade while the winners received a free box of 2000 paintballs.